Cards with a few details. 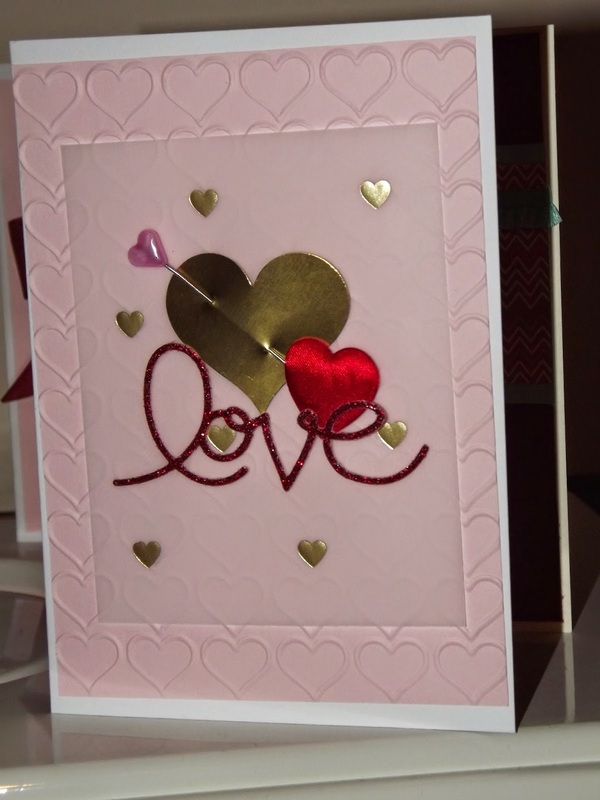 Its lovely to make a wide range of cards on a theme. A few square ones tomorrow. The Guy greetings stamp set has been out again. This time I have used the shoes! Love these, think they are really cute. 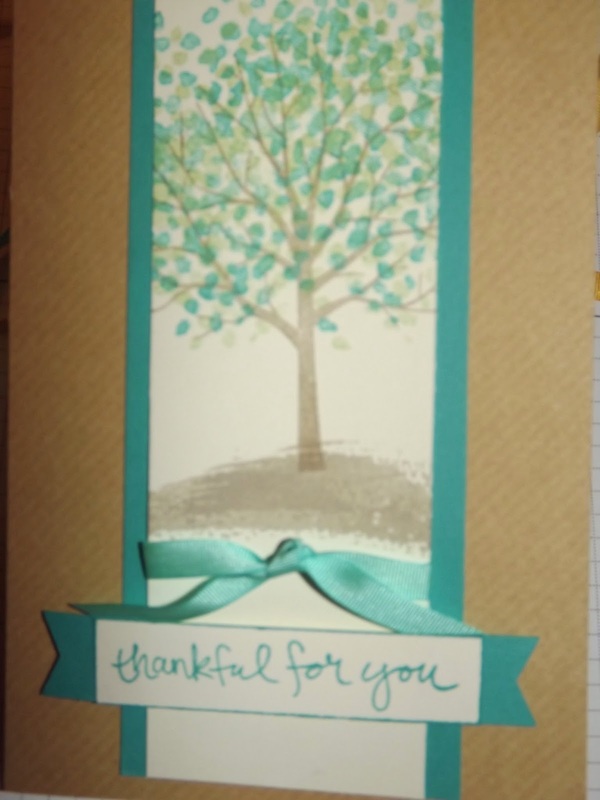 I have used the stampin'up! notecards in crumb cake. I have used the 'Flashback designer paper. 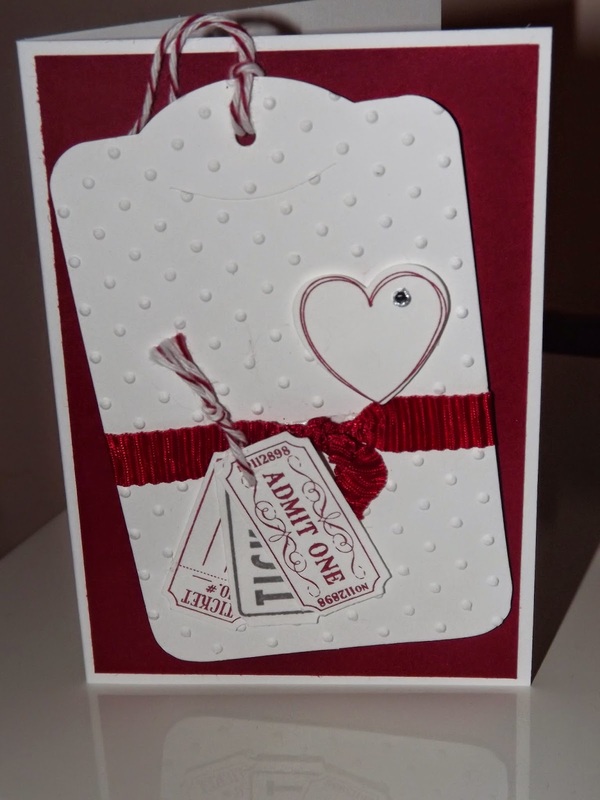 The very vanilla card has been punched with the tag top punch which is one of my 'can't do without' punches. I have stamped the tag using soft suade ink, stamping some direct and some as stamped off images. I then stamped the shoes once in real red and cut them out. This sentiment just says it from the heart I am sure there are lots of people in everyones life that this would fit. This is the second card with that stamp set. The little blue bird. I would like to say its a kingfisher but I'm not so sure thats what it is. So a closer look and yes I caught my pen on the right hand edge, thats what the blob is. I have scored a frame around the bird then cut the corners out and stuck carefully along the inside of the score line. The blendability pens need a bit more practice to get the colour blend I would want here. But he is a cheeky looking birdie! 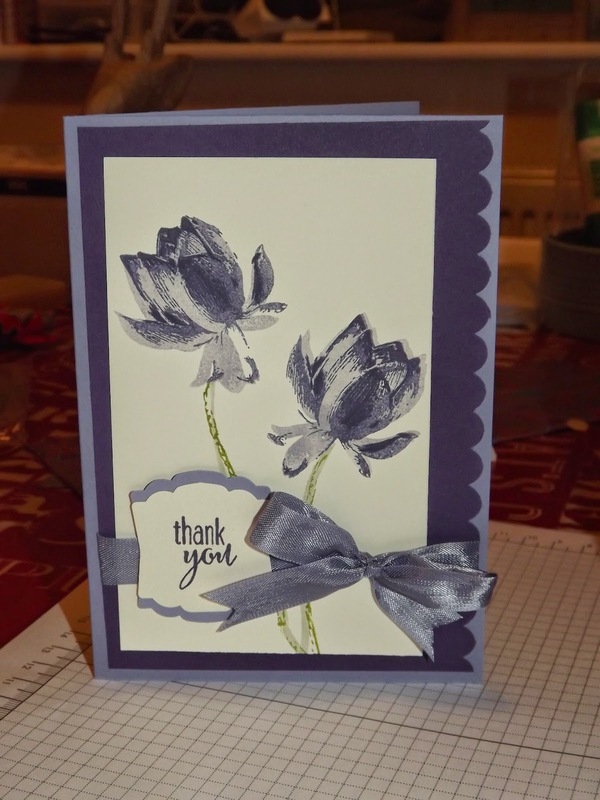 Here is my make with the free stamp set from the sale a brat ion brochure that I showed you last week. I thought it was time I got working with the blendability pens. Although the palest colour is dark when you first colour with it, it does dry paler. 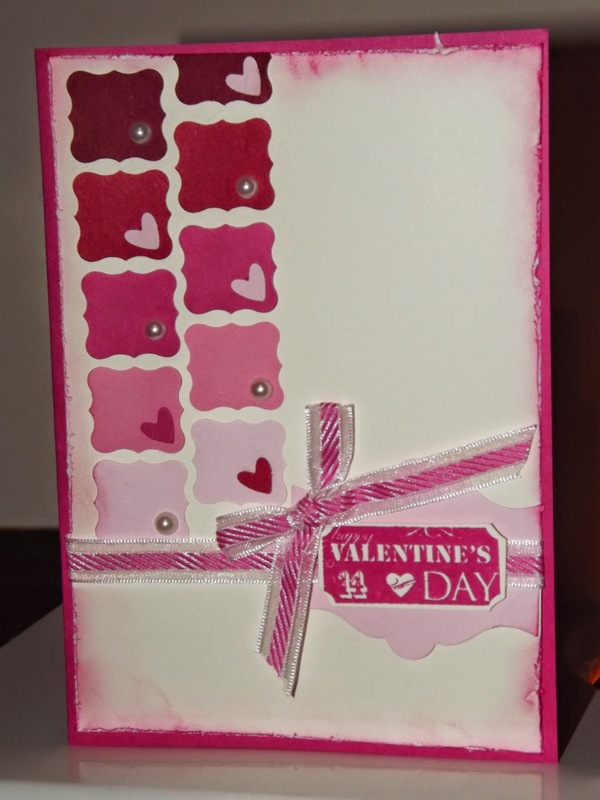 The colours are great because as with everything else with Stampin'Up! 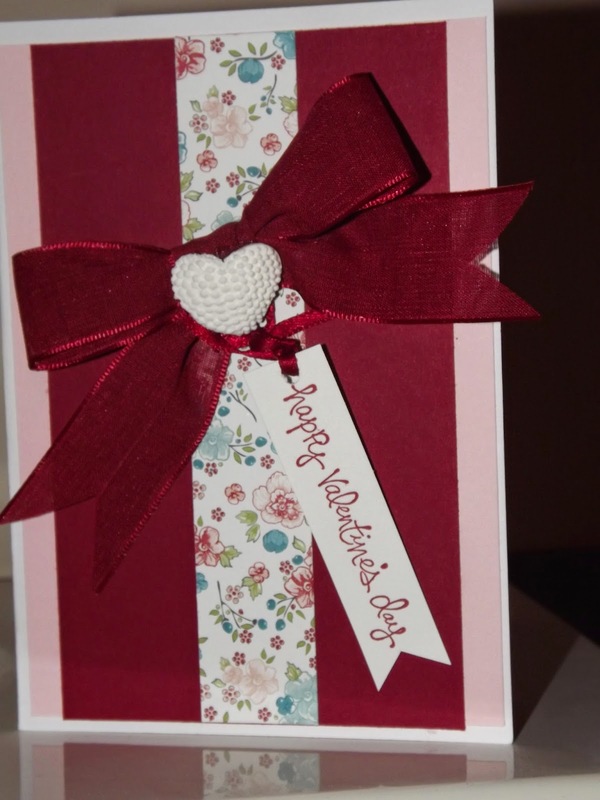 they match the card, paper and ribbon. The ribbon in in the spring/summer catalogue, its quite thick and textured. I have also coloured 3 pearls with blendability pens, just gives an extra matching dimension to the finished card. I do really like the lemon stamp it looks and feels fresh, you can almost smell it! These goodies arrived this morning. The large stamp is "Something Lacey'. The Designer paper is 'Something Borrowed' with the lace trim and embellishments. Don't they look great. I can't wait to get started with them. I will have something pretty to show you tomorrow. So here I have used this set without using the tree. Because the stamps are photopolymer you can see through them which makes repeat stamping very easy. The ribbon is from the FREE with a qualifying order sab products. I'm not usually a yellow fan but this has an air of spring about it unlike the weather outside! Here is a quick simple make. No stamping! The embossing is done with the new folder from the spring/summer catalogue. The vellum with the hearts is from the main annual catalogue as is the gold foil that I punched with the heart punch also in the main catalogue as part of a bundle. The 'love' is an expressions framelit. The soft heart and heart pin are from my own stash. This is a stamp set of 6 lovely sentiments with this tiny little flower motif. It co-ordinates with the decorative label punch and the large oval punch. 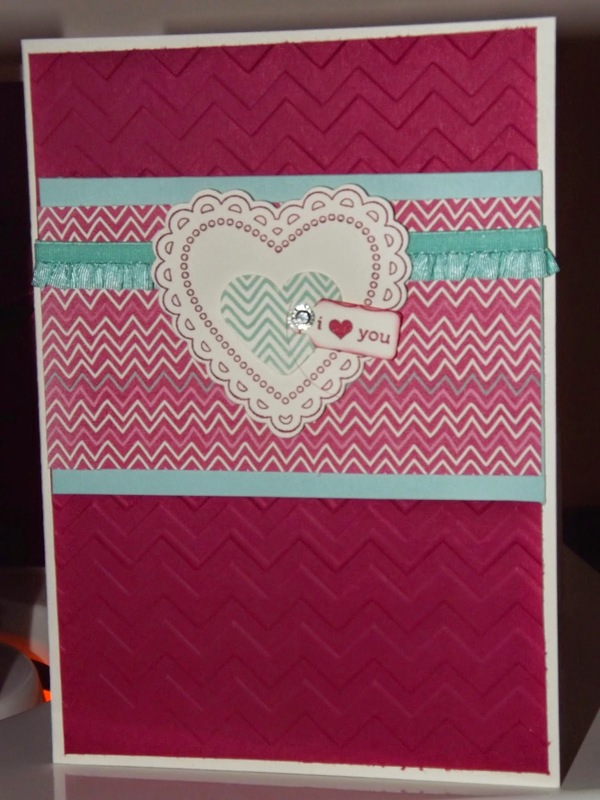 I have kept these cards simple with the Dotted Scallop border punch instead of ribbon and Birthday Bash paper. I used the marker pens to colour the flower motif stamp. I have used Wisteria Wonder and Elegant Eggplant. The stamp comes in 3 parts, its photopolymer so easy to place the 3 elements on top of each other, using the stamped off technique adds an extra colour dimension. I have added the wisteria wonder seam binding for the bow and knot. 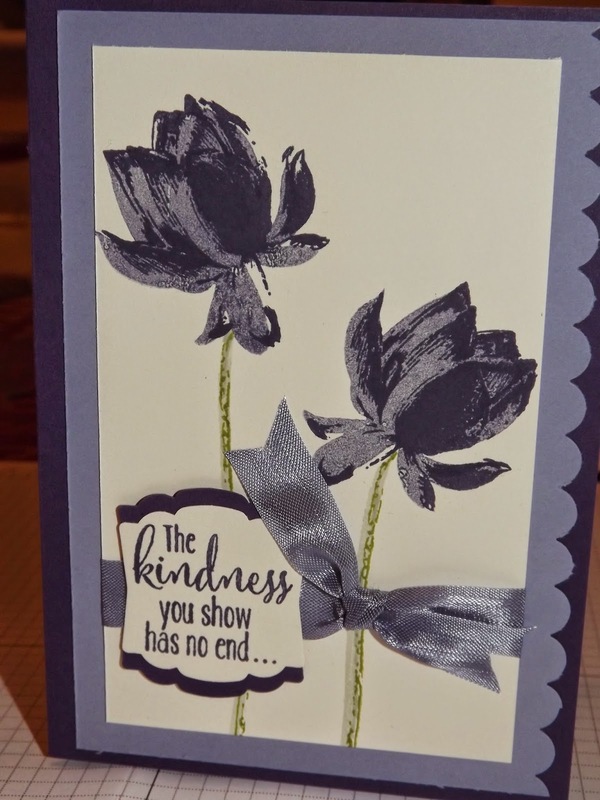 The sentiment is from the lotus blossom stamp set using the love label punch. This is one of the free stamp sets in the SAB brochure. I haven't had time to open and use it yet but wanted to show you how cute some of the sets are. Such a pretty delicate stamp set. It can be used in so many different colour collections. This time I have used coastal cabana and pear pizzaz. I wanted something fresh. The ribbon is part of the SAB bundle - 3 ribbon colours and buttons to match. FREE with a qualifying order. Contact me for more details. Here I have a couple of makes using the Guy Greetings from the Spring/Summer catalogue. This set has 22 stamps so loads of variety. I have only used 2. One sentiment and one design but in two different ways. 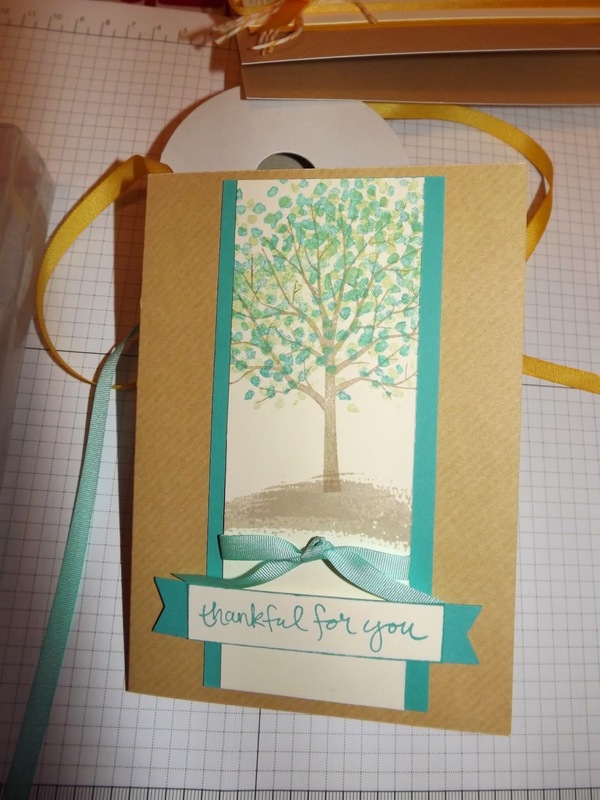 I have also used the stamping up note cards. These are smaller than the standard C6 card but complement the size these designs. The Hello Honey ribbon in the S/S is beautifully woven, quite thick and soft, I love it. 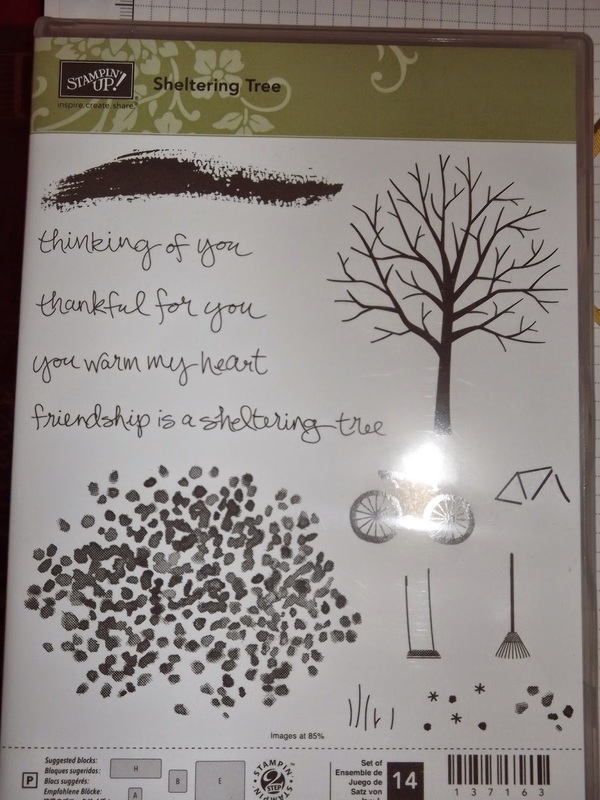 The first card is a crumb cake stampin'up! notecard, I have stamped in early expresso and very lightly daubed around the edges, the hello honey ribbon (from the s/s catalogue) adds a sumptuous splash of colour. The designer paper is from the 'Flashback pack. (annual catalogue.) One hat has been stamped a second time cut out and covered with 'crystal effects then added with a dimensional. It doesn't stand out in the pictures but does add some sparkle. 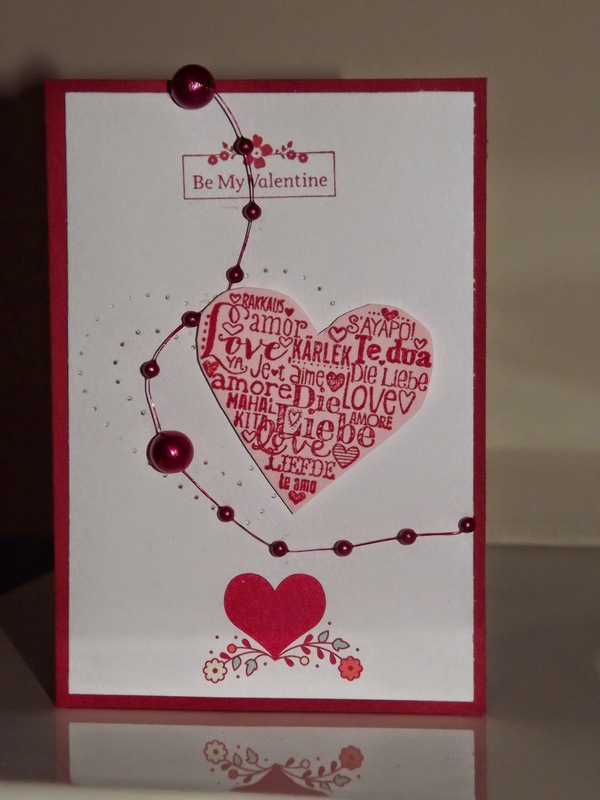 This second card is a whisper white stampin'up! notecard. 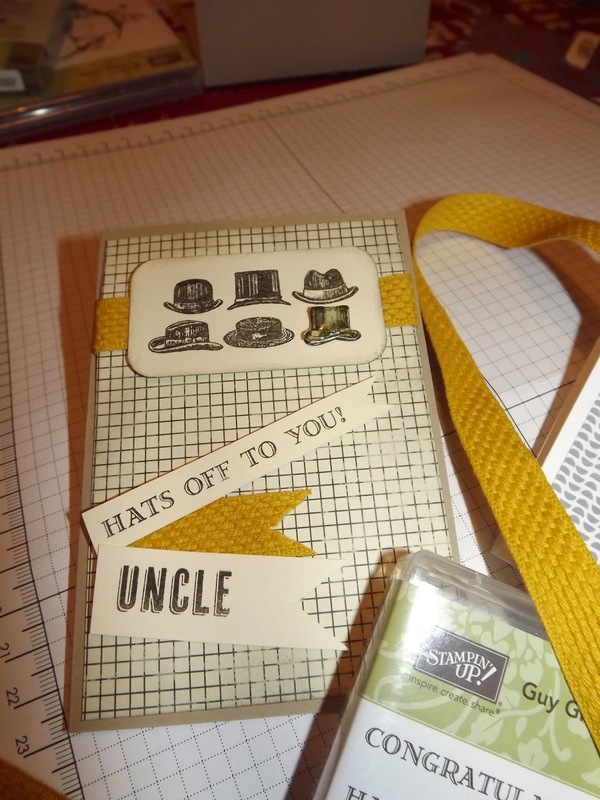 I have used the colours from the designer paper to colour a second set of hats with marker pens which I have cut out and added using dimensionals. I then coloured the sentiment using the marker pens to match. The designer paper is from the 'Confetti Celebration'. More male cards next Monday. 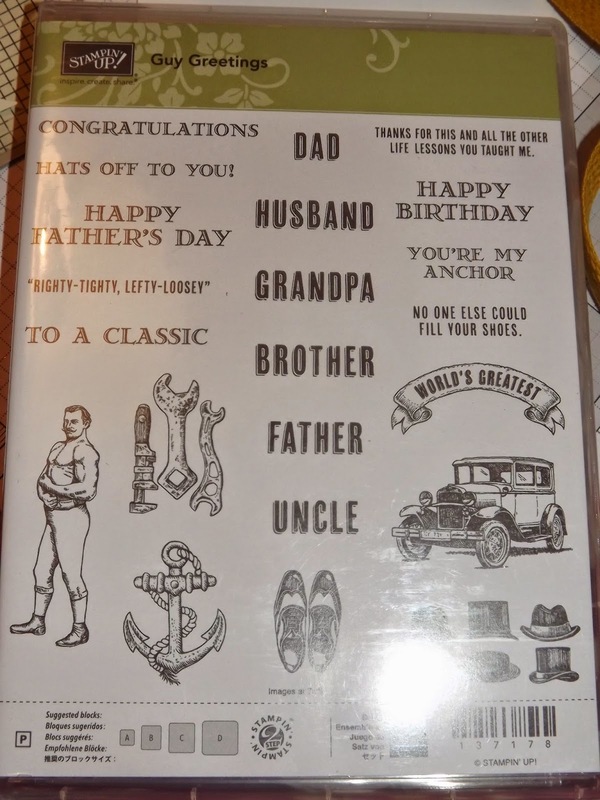 This 'Guy Greetings' stamp set is available from my online shop www.karenwatts.stampinup.net or you can contact me directly to order. If you have been a regular customer you should have had your catalogue in the post. If you haven't received a catalogue but would like one please contact me. As always there is so much to want or is it need. There are some lovely flower stamps and one or two quirky items, some lovely kits including a starter project life kit. LOVE it all. I think you will love it all too so I have created a Designer Series Paper share and a Ribbon, button, Embellishment share. This will make an economical way of having a little bit of everything. This offer is open until 15th January. There are only 4 shares so bag yours quickly. I look forward to hearing from you. If you order both DSP and Ribbon/Embelishment packs I will add 2x Petite Cafe gift bags and 2 die cut butterflies.